In forefoot running, it is always important to land towards the outer boarder of your forefoot and not under your big toe. The reason being is that landing under your big toe when running is linked to a major ankle sprain. A study by Willems et al. 2005 investigated the biomechanical traits implicated in running-related ankle injuries and found that runners with a sprained ankle had the highest pressure impulse under the 1st metatarsal head (i.e just under the big toe) and a significantly lower peak pressure impulse under the 5th metatarsal head (i.e. under the 5th toe) as compared with healthy runners. Above is a graph pin-pointing the area on the forefoot where peak impulse pressure is highest and is associated with higher incidences of ankle sprain in runners. 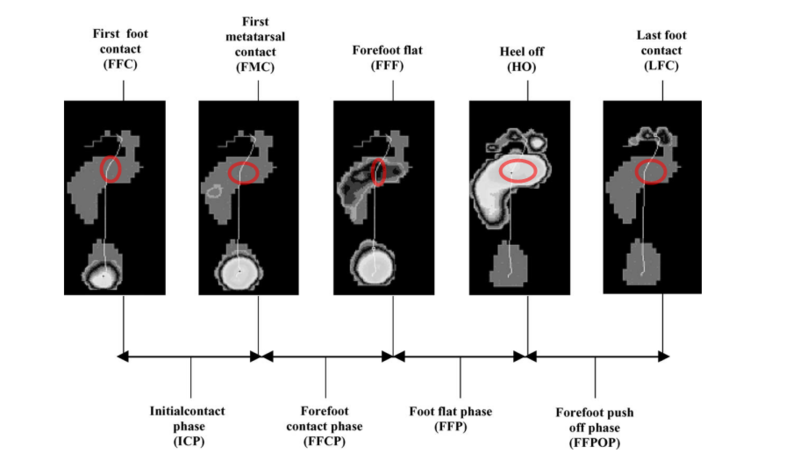 The main finding was that the overall foot pressure distribution in runners with an ankle sprain was concentrated in the middle aspect of the forefoot, particularly under the big toe. Keep in mind that the runners in the study were heel strike runners where the typical pressure pattern distribution over the foot occurs more medially (towards the middle and near the big toe). In a proper forefoot strike landing style, the foot pressure route changes significantly when compared to heel strike running where peak pressure occurs near the outside edge (lateral) of the forefoot. 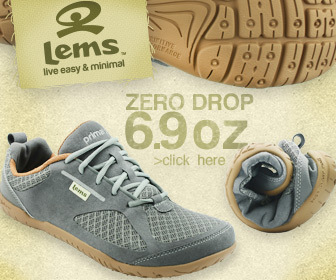 Nonetheless, a lateral foot pressure pattern is considerably linked to reduced sprained ankle ligament. How exactly does a medially concentrated foot pressure pattern lead to an ankle injury during running? It turns out that a medially concentrated foot pressure pattern is followed by an inverted ankle position during the stance phase of running, which places cumulative stress on the ankle joint. 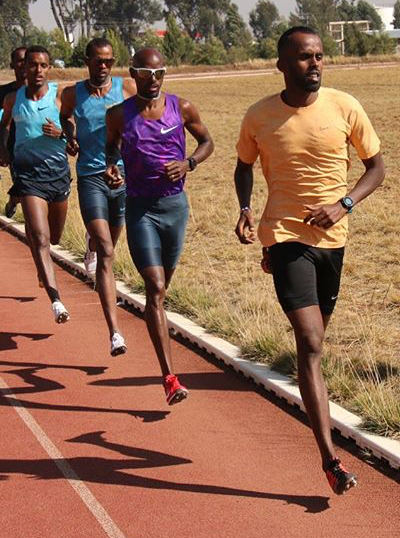 So, if you have ankle problems and to avoid ankle injury when running, make sure you are striking the ground on your lateral forefoot, this will ensure that your ankle doesn’t invert too much. 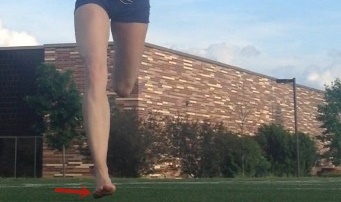 Above, shows a typical forefoot strike. As you can see, the foot begins to orient itself more laterally to set-up for a lateral foot strike (i.e. 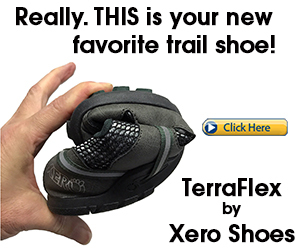 a landing that is closer to the outer edge of the forefoot). See how their foot shifts toward the outer-side prior to touchdown? That is because the proper way to land on the forefoot is by striking the ground first on the side of your outer forefoot. 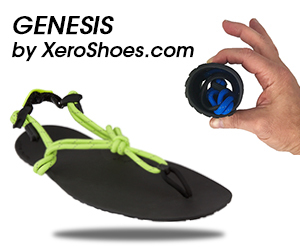 This will reduce the potential risk of an injured ankle when running. To ensure a more controlled ankle, land on the forefoot, but try landing near the 5th toe as it seems to provide strong support for the ankle. 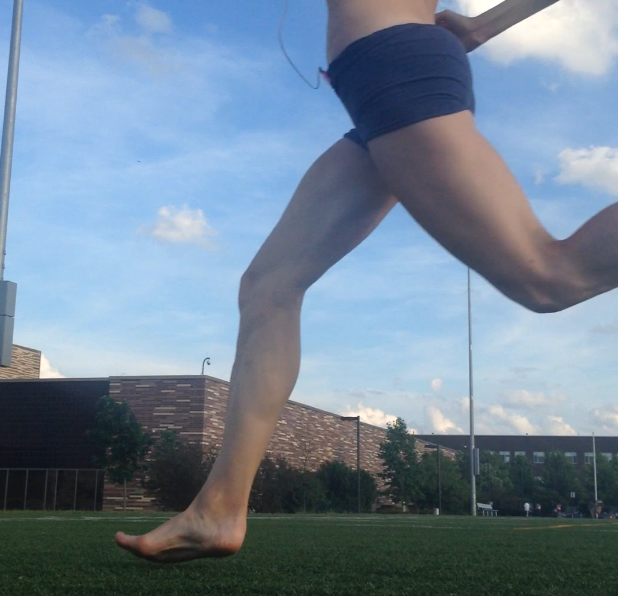 Landing this way seems to occur more naturally when barefoot, so make sure you integrate barefoot running in your training regime. 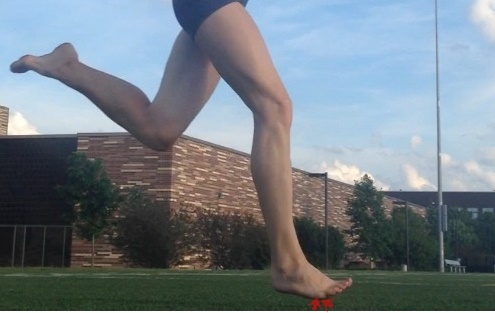 There is already much evidence behind the effectiveness of barefoot running in correcting foot strike, helping you achieve a more accurate forefoot strike and is why I always suggest running barefoot before you run in your shoes. Willems et al. Relationship between gait biomechanics and inversion sprains: a prospective study of risk factors. Gait and Posture, 2005; 21, 379-387.